At the beginning of October, we spent a week out in our communities as a church during what we call, Serve Week. It was an awesome six days full of serving, helping, and appreciating people in our area. It’s what we’re called to do as a church, SERVE – and we’re called to serve not just for a week – but throughout the entire year. “Now the eleven disciples went to Galilee, to the mountain to which Jesus had directed them. And when they saw him they worshiped him, but some doubted. And Jesus came and said to them, “All authority in heaven and on earth has been given to me. 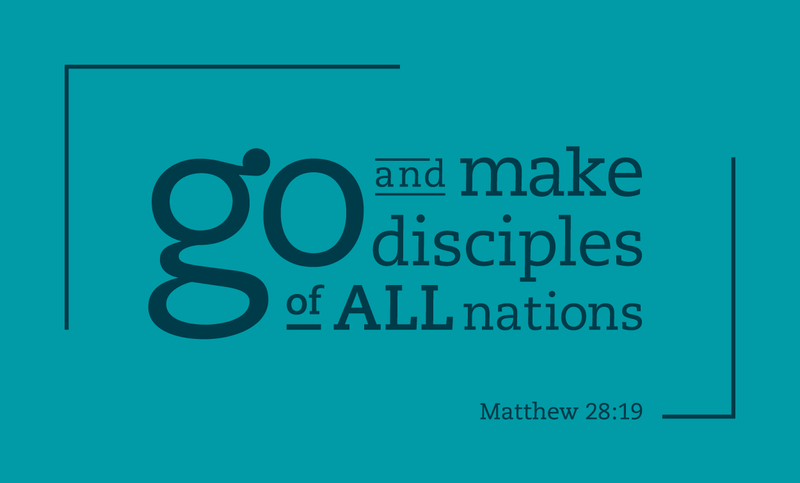 Go therefore and make disciples of all nations, baptizing them in the name of the Father and of the Son and of the Holy Spirit, teaching them to observe all that I have commanded you. And behold, I am with you always, to the end of the age,” (Matthew 28, 16-20). I think we understand the first part fairly well. We know that we want people to know Jesus. We want them to believe in Jesus, healed by Him through grace, and to know the gift of an eternity with Jesus. But when it comes to “follow,” I think all might struggle… I know I do. Think about what Jesus asks of us. It’s not just to believe in Him, but to actually follow Him by doing what He asks of us. This is what makes faith a lifelong journey – because we’ll never quite arrive or complete what Jesus asks. Not until we’re in His presence, either by death or because He’s returned just as He promised. “Blessed are the gentle, for they shall inherit the earth,” (Matthew 5:5). “Blessed are the merciful, for they shall receive mercy,” (Matthew 5:7). “I say to you, love your enemies and pray for those who persecute you,” (Matthew 5:44). “Whoever loves father or mother more than me is not worthy of me, and whoever loves son or daughter more than me is not worthy of me. And whoever does not take his cross and follow me is not worthy of me. Whoever finds his life will lose it, and whoever loses his life for my sake will find it,” (Matthew 10:37-39). “Truly, I say to you, unless you turn and become like children, you will never enter the kingdom of heaven. Whoever humbles himself like this child is the greatest in the kingdom of heaven,” (Matthew 18:3-4). “If you would be perfect, go, sell what you possess and give to the poor, and you will have treasure in heaven; and come, follow me,” (Matthew 19:21). “Jesus looked up and saw the rich putting their gifts into the offering box, and he saw a poor widow put in two small copper coins. And he said, “Truly, I tell you, this poor widow has put in more than all of them. For they all contributed out of their abundance, but she out of her poverty put in all she had to live on,” (Luke 21:1-4). 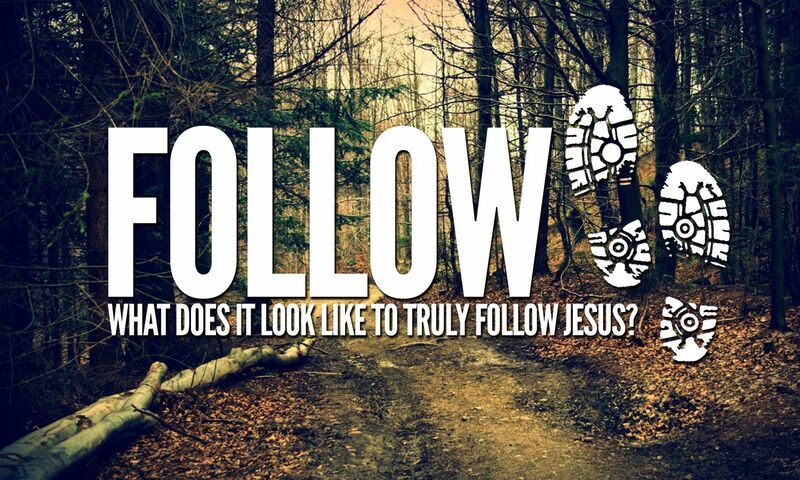 Jesus said so much more regarding how we can follow Him. Following Jesus is a journey. A journey of learning about what Jesus said and did. It’s never ending and yet, it’s a joy-filled journey. A journey of filled with hope and sometimes a journey that has pain. Jesus called us to take up His cross and follow Him. But it’s also a journey of no regrets, with the ending already written. That’s the joy, hope, and peace of our faith when we’re in the middle of our mission, “Helping people Find and Follow Jesus.” Not just for others, but also for each of us!